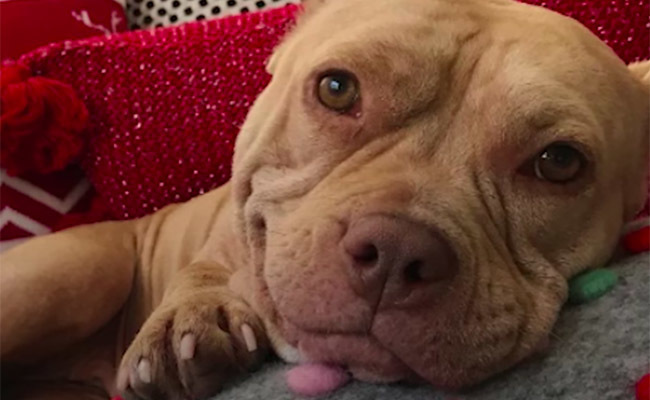 Pitbull smiles are the best.The Lady Shortcake’s rescue story might make you a little bit misty-eyed, but her infectious grin will warm your heart. i looove Shortcake & her sublime smile!!! What an expressive face and beautiful smile! Smiling right back at you, cutie. Such a beautiful smiling girl! Thank you.